The nature of the person is one of the most discussed and most controversial issues in modern philosophy and also recently, in psychology. The phenomenon of split brain cases presents a puzzle for our understanding and thinking about what it is to be a person, for in such cases we are not sure whether only one person or two distinct persons associated with each one of the hemispheres, exist in one body. Split-brain surgeries involve a complete or partial section of the corpus callosum and consequently divides all direct links between the hemispheres in order to cure epileptic seizures in 1960's and 1970's. After being surgically separated in this way, the two hemispheres begin to operate unusually independently in the realm of thought, action, and conscious experience, as if each hemisphere had a mind of its own. These cases have led to a debate on the nature of consciousness and to the formation of several conflicting theories about the nature of consciousness and personal identity. These opposing theories have produced a debate on the functional difference between hemispheres and lateralization of cognitive functions, specifically on whether the right hemisphere can fulfill the requirements of being an I-thinker, or rather is an unconscious companion to the left hemisphere. Elizabeth Schechter, in her intriguing book Self-Consciousness and Split Brains The Minds' I, takes on the experimental paradigm set by Myers and Sperry and continued by Gazzaniga and examines the issue appealing to new psychological and neurological empirical facts about split-brain and brings new insights to ongoing debate on whether the unity of personhood continues or not following the commissurotomy operation. Schechter considers two different pathways resulting from the split-brain phenomenon. One of these pathways is the duality condition, in which, under experimental conditions, split-brain subjects often act as though they were animated by two sources of conscious thought and agency. This so called duality ıntuition suggests that split-brain human being is composed of two distinct psychological beings. On the other hand, a split-brain subject nonetheless seems in an important sense to be one of us, rather than two people sharing one body. This is the unity intuition, which suggests that a split-brain subject is one person. Elizabeth Schechter argues that both intuitions are right. She claims that there are in fact two minds, subjects of experience and intentional agents inside each split-brain person. But what unites these two distinct subjects of experience are the facts about the way self-consciousness operates in all of us as in split-brain subjects. Her main strategy, then, in her own words, "isn't simply to reject the I-mind/person rule but to contextualize it, thereby showing that its violation in the case of some rare individuals does not threaten the substance of our basic ways of thinking about human beings as psychological beings" (p. 18). In line with this basic strategy, she firstly explores the unity/disunity intuition for the split-brain cases in the second chapter and in Chapter 3, continues to defend the 2-agents-claim and explains why it is consistent with what we know about split brain subjects' behavior even outside of experimental conditions, in their daily lives. Chapter 4 titled as How Many Minds, generalizes the 2-subjects and 2-agents claims, explaining who right hemisphere subject and left hemisphere subject are, and how there could be two distinct psychological beings, two thinkers, co-embodied as one human being. Then in Chapter 5, she tackles the major objection to the 2-thinkers claim, the objection from sub-cortical structures, according to which split-brain psychology is ultimately not substantially divided by split-brain surgery. In this chapter she argues that the best way to explain split-brain psychology is to regard them as two distinct psychological beings, albeit beings that are neither physically nor psychologically discrete. Chapter 6 turns to consider philosophical arguments on the duality claims, such that because all human beings have two cerebral hemispheres, the duality argument should also be held true for non split subjects also. She responds and rejects these arguments, and then presents the kind of psychological commonality between non-split and split-brain subjects that is secured by the unity of the body. 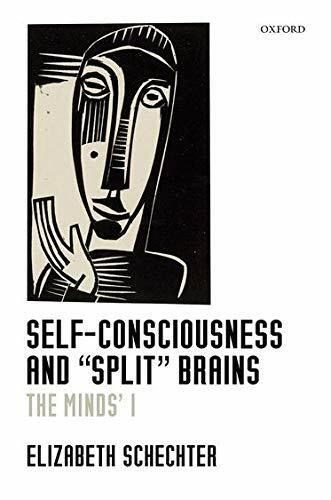 In Chapter 7, she turns to the discussion of the self and other in the split-brain subject and argues that self-consciousness is dual in split-brain subjects. But on the other hand, she also makes clear the claim that split-brain self-consciousness operates very differently from other pairs of self-conscious thinkers. Following on this argument, in Chapter 8, she argues that right and left are not distinct persons but are instead mere parts of one person. In the last chapter titled Duality Myths, she turns again to the relationship between the split-brain and the non-split case, and in particular to the question of why the split-brain cases garnered so much interest and attention even from non-academic quarters. Self-Consciousness and Split Brains offers a very rich and stimulating account of commissuratomy cases since they were taken in 1960's and 70's. Combining careful philosophical considerations with updated new psychological and neurological experimental data, Elizabeth Schechter offers an illuminating insights into discussions of the unity of consciousness and the self, the individuation of minds and the nature of personhood. I believe, this book can be perfectly used as a textbook for any level of Philosophy of Mind course. I also found this book very useful for a course on philosophy of self or personal identity. This book is, an invaluable resource for advanced students and scholars of philosophy, and also researchers in neighboring disciplines, such as psychology and neurosciences.